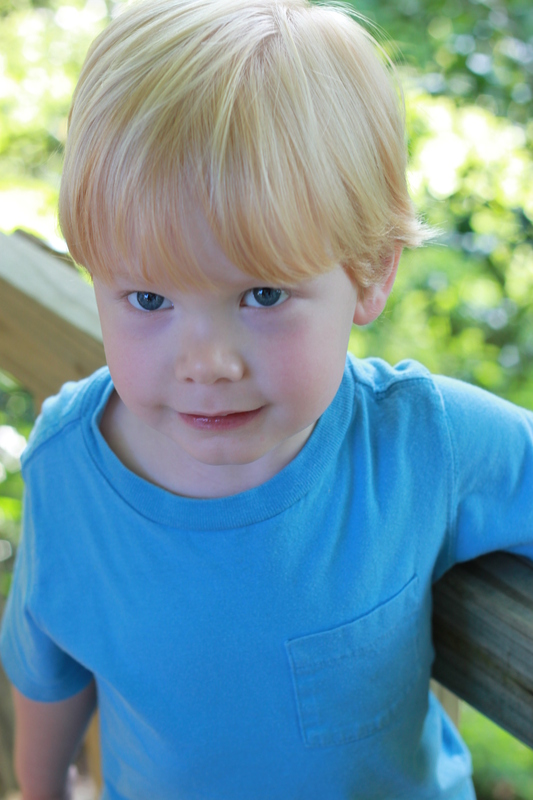 As many of you know, Little Man is not characterized as being a boy that plays with toys. He would rather be in the kitchen helping Mommy make bread or helping Daddy in the shop than play with any toy any time of any day of his little life. 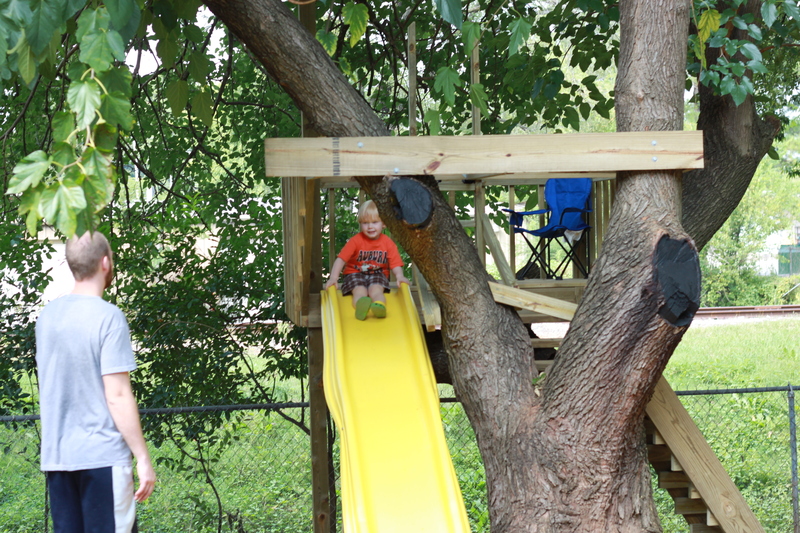 The bottom tier of the tree house was fully funded by Little Man’s B-day and a generous and eager-to-help-build-a-tree-house-Papa-Robinson 🙂 It is complete. The top tier is a just a frame right now…which I am thankful for…because its a little too high for my comfort. In a year or two I think I will feel better about it…wait, then I will have a 1 or 2 year old too…Does the mother worry ever end? Little Man LOVES his tree house. Hubby may love it more. 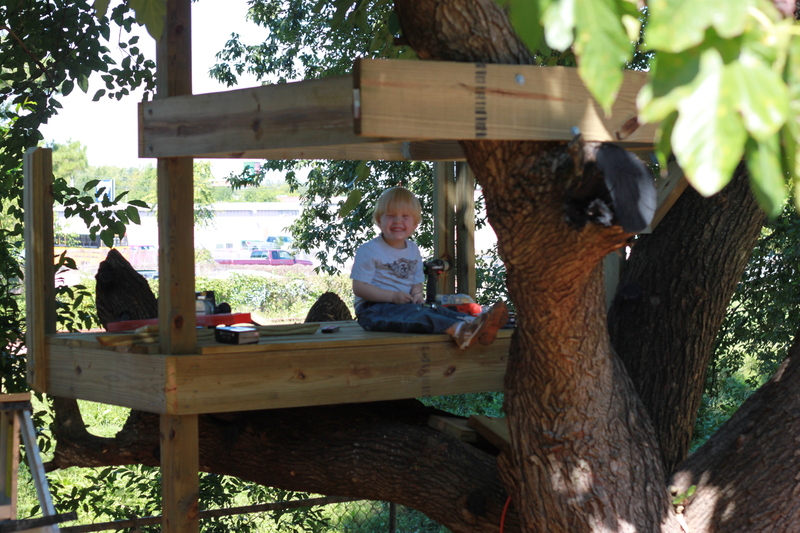 The day after the bottom was complete, he spent the morning before work reading books to Little Man…in the tree house. He spent his down time at work dreaming up ‘additions’ to the tree house such as water canon’s that involve a lot of engineering, zip lines, and the like. 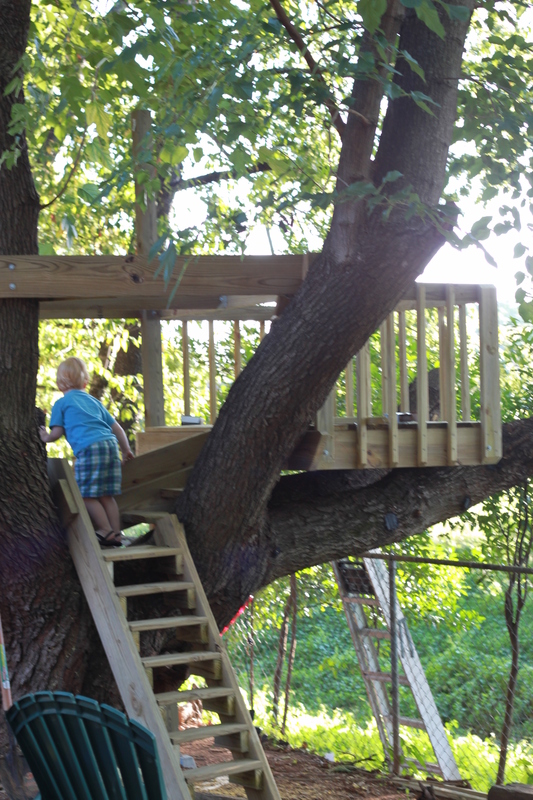 And he spent the afternoon and evening playing in the tree house, yes WITH Little Man, using binoculars to spy out animals in the surrounding foliage.